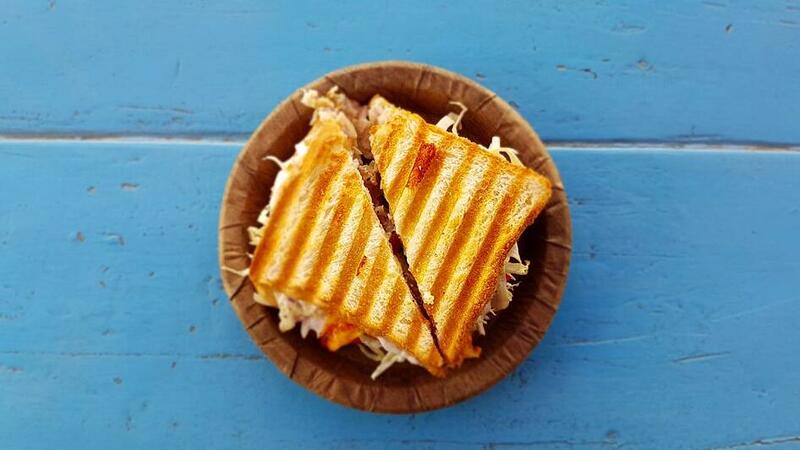 According to one of those useless studies that seem to fill our news feeds these days, toasted sandwich makers have been revealed as one the most commonly owned but least used household appliances. I wonder if CRMs (i.e. software that manages information about your sales activity) hold the same status in a typical business. 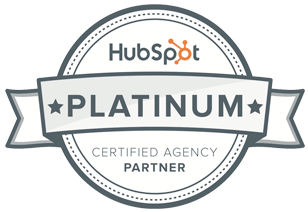 HubSpot CRM is the first CRM I have personally really used. I mean ‘really used’. It helps me to manage my sales opportunities and all the activity involved with them, and ultimately it helps me to do a better job of selling. Like most people involved in sales and marketing, I have used many CRM systems over the past decade, ‘using’ at least three in recent years. I probably used my toasted sandwich maker more, in reality. I used the systems because I had to – not to manage my sales activity, but because the company needed a centralised contact list and a way of monitoring the number of sales opportunities coming through. Data was entered when I remembered, or was reminded to, and always only after the event. The problem with most CRMs is they are too focused on the requirements of the sales manager, rather than sales teams. Often CRMs are used to impose structure and reporting by management across the sales team, rather than helping front-line sales people do their job. In this context, the following are six features that I like most about HubSpot CRM. The interface is clean, intuitive and simple to use. The way that you view and interact with contacts, companies or sales opportunities is consistent. Personalised views can be customised and saved for later use by you and or your teams. Often CRMs enforce a fixed relationship between entities like contacts, companies and sales opportunities. HubSpot CRM doesn’t mind if companies have no contacts, or if contacts don’t belong to a company. A sales opportunity can be associated with contacts or a company, or nothing at all. It doesn’t matter. The end result is that you don’t have to fight the system, you just enter the sales data that you have so far, and add to it later. You can choose for HubSpot to fill in the gaps about the companies you have in your CRM. If a company record does not exist for a contact’s email domain, HubSpot can automatically create a company record and pull in information from HubSpot’s own (and third-party) large database of company information. This includes properties like; company name, company description, number of employees, revenue, address, contact details and URL. This works especially well when using email integration. For example, if I forward an email to HubSpot CRM for a new contact, HubSpot will create the contact record for me, log the email against it, and then create a corresponding company record with known properties. This is a paid add-on to the standard CRM and provides some great features; you can be notified when a prospect opens your email, create templates for repetitive emails, or queue up a sequence of automated emails and reminders. When a person completes a ‘Contact Us’ form on your website, HubSpot can automatically create a sales opportunity in the CRM, create a task in the sales person’s to-do list and notify the sales person via email to complete the task. If a contact in your CRM visits the pricing page on your website, then HubSpot can email the contact with a link to the meeting scheduler to arrange an appointment with a sales person. If successful, HubSpot can book the appointment in the sales person’s calendar. If a person returning to your website is currently involved in an open sales opportunity, then HubSpot can notify the sales person managing the account. The HubSpot App enables you to manage your sales opportunities no matter where you are. I often use it in a café, or in the morning to flick through current sales opportunities and see what needs to be actioned. The same app provides access to contacts, companies and a range of sales and marketing dashboards. If I had to find something missing from HubSpot CRM, it’s probably advanced reporting. What you get is great, but everyone wants something unique. Also, it is not designed for larger company requirements. Don’t expect multi-currency or the ability to generate a unique sales opportunity or purchase order number. It’s simple to get going; define your sales stages, import any existing contacts, companies and sales opportunities, and you are ready to go. Using one of the many integration tools: For example, you can use the Salesforce integration tool to migrate your data. Simply connect the two systems, perform an initial import of data from Salesforce into HubSpot CRM, and then switch the integration off. The tool also brings across past sales activity from Salesforce (e.g. emails and other logged activity). I have experienced some issues due to various settings in Salesforce (there are just too many!) making fields invisible to HubSpot. Just call HubSpot support and they will quickly help you resolve them. Importing data via csv files: This option works well when you need to clean your sales data. Extract your contact, company and sales opportunities from your current system and use Excel to reformat and clean your data so you have confidence in your new CRM. The most technical task in implementing your HubSpot CRM is integrating your email account so your emails are tracked and logged in the CRM. There are lots of resources on the HubSpot website that can help you connect your Gmail, Office 365 or Outlook account. If you have any issues with this, then you can always manually forward any emails to HubSpot using a BCC or forwarding address. One simple thing that makes a big difference to people using any CRM is to make your sales pipeline stages map what you currently do, rather than starting with more theoretical pipeline stages like “evaluation”, “qualified”, etc. For example, at Concentrate we use a stage called “have a coffee”, which seems more natural. Sales pipeline stages in HubSpot CRM are easily modified at any time so you don’t need to have it perfect on day one. According to the annual Market Measures study, HubSpot CRM is the most popular CRM, used by 26% of kiwi technology companies. Unfortunately 16% of firms don’t use a customer relationship management system, the building block of any marketing technology stack. HubSpot CRM is a simple, easy to use product that can make a real difference to your sales team. Also, did I mention it’s free!? Much better than your average toasted sandwich maker. WHAT MARKETING TECHNOLOGY IS RIGHT FOR YOUR BUSINESS? WE’VE LOOKED AT A BUNCH AND GIVE YOU OUR TAKE IN THE CONCENTRATE MARKETING TECHNOLOGY STACK. DOWNLOAD HERE. Blog post originally published on 28 August 2017, updated on 24 October 2018.